Looking for an XLC bike trailer? We offer you all models and accessories from XLC child bicycle trailers. 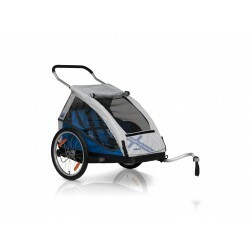 If you are looking for a trailer for a child, then choose the XLC mono. Looking for a bicycle trailer for 2 children? Then choose for the XLC Duo. Both trailers are supplied including a buggy wheel and bicycle set. XLC bike trailers There are 3 products.